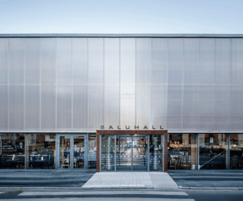 In 2012, the traditional market hall in Östermalm, Stockholm required a complete renovation. 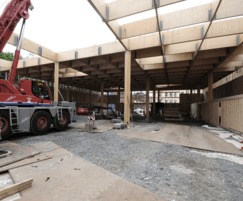 A design for a temporary wooden building was conceived next to the old hall where the entire offering of the old market would be maintained under one roof. Afterwards the building would be easy to demount and reuse somewhere else. 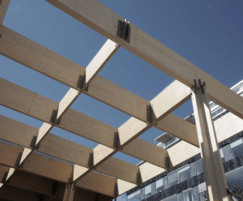 The designers at Tengbom also wanted to promote sustainable construction and wood was a natural choice. 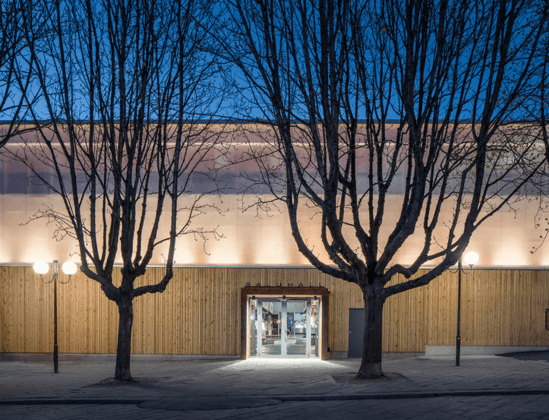 Metsä Wood’s lightweight Kerto® LVL (laminated veneer lumber) offered a high degree of prefabrication. It is also an economical and lightweight wood and therefore was well suited for the construction project. The temporary building was based on a modular system, which made it easy and fast to erect and demount - it took only five weeks for the external envelope to be erected. 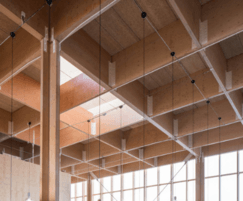 The building’s roof structure was constructed using a grid structure of Kerto® LVL beams and glulam columns. The strong columns support the loads from the 1.2m-long main beams. The LVL timber was also treated to be fire retardant. 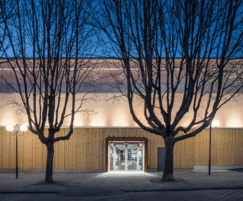 The temporary market hall is an innovative and bright structure and now attracts over 55,000 visitors per week. 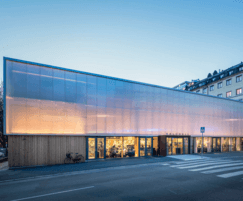 Once it is no longer required, the city of Stockholm can reuse the building in another location.